Home / Football / LSFC / Coaching By Cell Phone – and Getting to the Final! Coaching By Cell Phone – and Getting to the Final! My college team was a ragtag collection of players who played high school football under me, some who played intramurals football in high school and others who came from other schools around the province. It was early in the year. Because other colleges and universities in Batangas could not raise football teams, we won free passage to the regional stage of the Private Schools Athletic Association (PRISAA) meet that was being held in Lucena City. They had dominated us almost totally but could not break through. All we needed was one chance taken with aplomb by a striker who was sleeping just half an hour earlier. I was far from happy with our preparations for the tournament. Getting the entire team to come together for training sessions was next to impossible because of scheduling conflicts. For my high school teams, I had always preferred passes strung together with the ball along the carpet. On the other hand, I was always a pragmatist and was prepared to play ugly depending on the players I had at my disposal. For this college team, I simply did away with the panache and had the bus parked in front of goal. If I could have sent in the driver to join the blockade, I would have gladly have done so! After losing our opening match, we dropped into the losers’ bracket of the double elimination format. Thus, we had to climb up the ladder to the finals by packing our defence with bodies and playing rapidly on the counterattack. 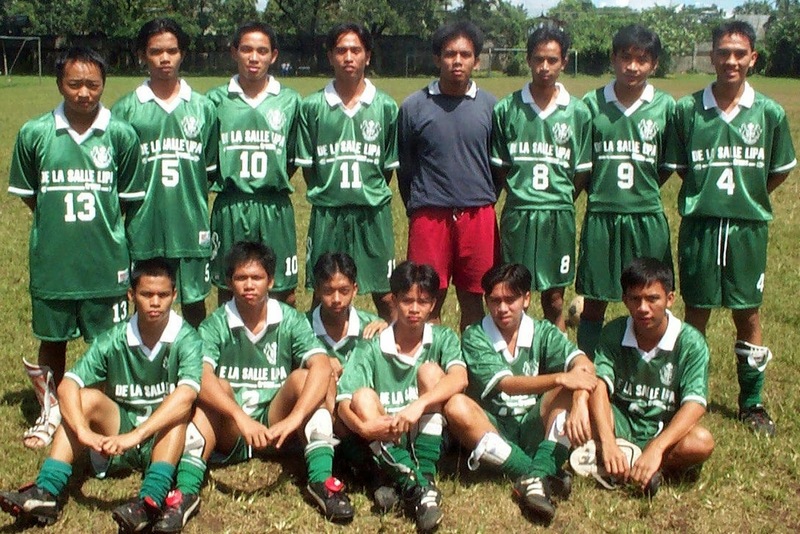 We were fortunate to have back Reyan Quinto, the top goalscorer of the high school team of 1996, from DLSU. He was on the fringes of the Green Archers varsity team, tore his meniscus, lost his way a bit and returned to Lipa. Our game plan was Play Number 1. Defend with nine players. Kick the ball far upfield when we won the ball. Reyan took care of the rest. He was that good. We parked the bus in front of goal with as many bodies as we could muster. We got to the semi-final stage playing this way. At the time, I was still Director of External Services. I did not want to short-change the school by being away from work for an entire week. Thus, the team went to Lucena under the care of basketball coach Bong Cubilla, who was designated as chaperone. I made the two and a half hour trip to Lucena only when we had matches and continued to do my work when we had none. 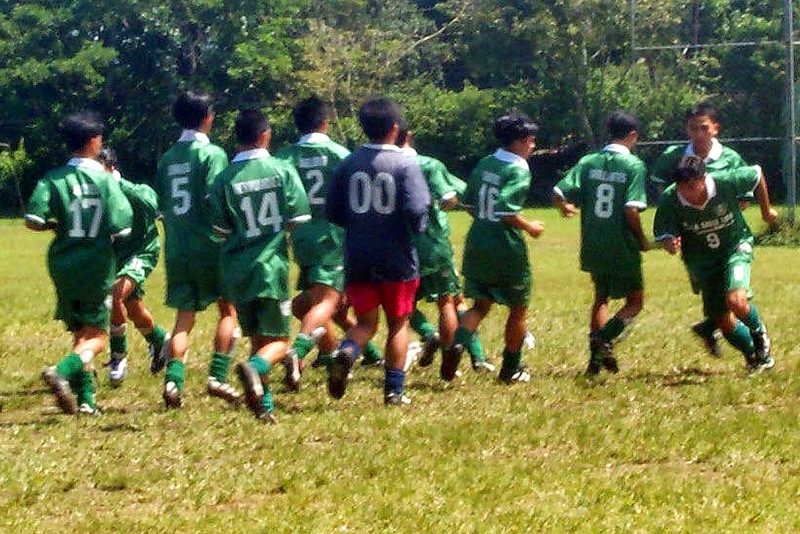 For the semi-final, we had for our opponents a team from Oriental Mindoro. They were fitter and played a more attractive style than we did; but I felt that they also lacked savvy. The match was originally scheduled to be played at 8 in the morning at the city stadium. However, because of scheduling conflicts, the match was moved back an hour. Reyan had come home to Lipa the night before with me and we arranged to leave early the next day for the semi-final against Mindoro. 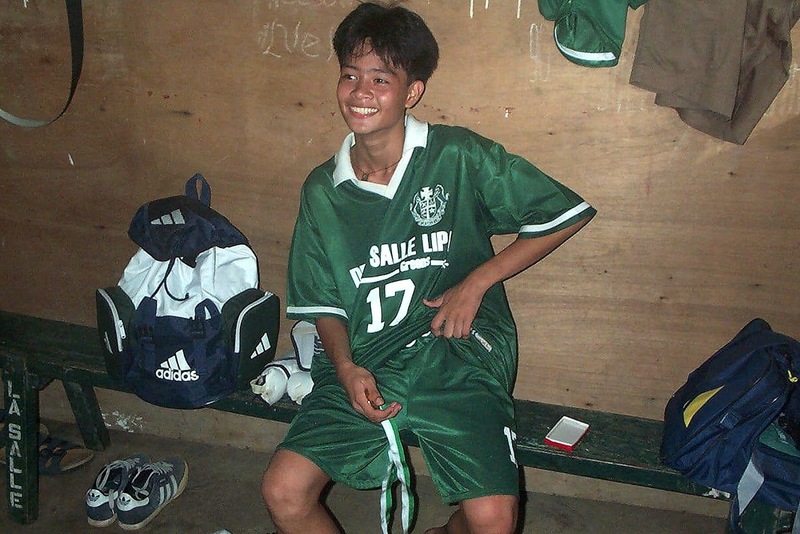 I had given instructions the previous night before leaving for Lipa that Deney ‘Pato’ Reyes, one of the star players of my high school team of 1999, should have his cell phone with him so he could give me a blow-by-blow if for some reason we would run late. Deney 'Pato' Reyes was still too small, and I protected him by using him sparingly. Pato would later blossom into one of the college team’s most creative midfield players ever; but at this time he was still too small and I was protecting him by using him sparingly. As it happened, he was the one who texted me that the semi-final had been pulled back an hour earlier. I made calculations inside my head and knew that we would be lucky if we caught the last half hour of the match. Deney sent me updates every now and again; but my instructions were simple and straightforward: do not allow Mindoro to score come hell or high water! After all, I had the team’s top striker sleeping at the back of the L300 van. I even made substitutions by cell phone based on feedback that I was receiving from Pato. When we finally arrived, there were just 15 minutes of the match remaining. I had Reyan change into playing kit whilst still on the road, and the moment we arrived I sent him out for a 5-minute warm-up. With just 10 minutes remaining, I finally sent Reyan in. Mindoro continued to dominate possession; but they were not getting through because of the excellent defensive work of my team led by Ramir ‘Batel’ Cardona. With just 5 minutes of the match remaining, a long ball sent Reyan clear of the defence and he finished with the precision that made him such a lethal striker in high school. He had been on the pitch a mere 5 minutes. Mindoro tried to get an equaliser but we just kicked the ball away and wasted time whenever we could. When the referee blew the final whistle, the players of Mindoro collapsed on the field as though they had been electrocuted. I had coached a team into the final by cellular phone. Imagine that.